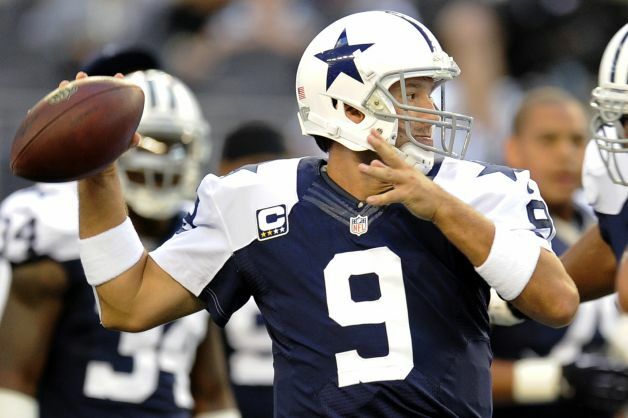 Last March, Dallas Cowboys quarterback Tony Romo signed a new six year contract worth $108 million, instantly catapulting him into the list of the NFL’s highest earners as well as making him the highest paid quarterback in franchise history. This is no mean feat for a man boasting a 1-3 post-season record upon entering his eighth season in the league. Let’s put this into perspective; Joe Flacco, quarterback of the reigning Super Bowl champions the Baltimore Ravens, is earning $3 million less than the Cowboys man. Also, by becoming the most valuable quarterback in franchise history, Romo finds himself top of a list of men that includes among many others, Roger Staubach and Troy Aikman. Forgetting the financial side of things completely, post-season numbers suggests Romo cannot stand up to his Dallas predecessors. For example, by the time he was 29, Aikman had won three Super Bowl championships and was 11-1 in the play-offs. Tony Romo, at 33 years of age, has only one post-season win to his name and that is where we can be forgiven for wondering what the hype is all about and if Romo possesses the temperament and consistency needed to become the top quarterback that his contract and public persona suggests. However, just because you may be an overrated player does not mean you aren’t a very a good player. And Romo is. This is perhaps the most frustrating aspect of his game, the fact that statistically he stands up to almost anyone in the league and in his franchise, where he is the all-time leader with 174 touchdown passes as well as single season rushing and passing yards. Some might argue that quality is not defined solely by play-off performances but in the case of Romo and in particular as quarterback of such a proud and successful franchise as the Cowboys, your post-season figures become your legacy. So far, Romo has produced next to nothing in this regard and unless there is a dramatic change in the coming seasons, he will forever be remembered as a “choker” in clutch situations. The most obvious example would be his infamous botched field-goal snap against the Seattle Seahawks in the NFC Wildcard Play-Off Game in 2007, but you need look no further than last season to find that Romo is still as unreliable as ever in crunch games. Despite a 3-5 record after eight games, the Cowboys went on a run and managed to find themselves 8-7 going into the final weekend of the regular season where a win against the Washington Redskins would have handed them an unlikely play-off position at 9-7. However, Romo had a nightmare. When composure was needed, Romo wilted and ended up throwing three interceptions on the way to a devastating defeat and whether it be nerves or simply an inability to step up to the mark when needed, he finds himself with a record of 1-6 in “win or go home” games. Yet, have all the Cowboys failings over the past couple of years been solely down to Tony Romo? Of course not. Right or wrong, quarterbacks either get more credit or blame than deserved. However, Romo always seems to find himself fighting the “choker” image. When he’s on a great run, the media are simply waiting for that moment of failure and more often than not, they receive just that. 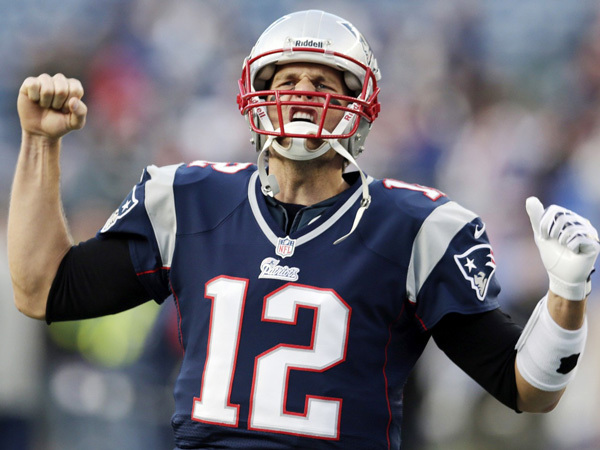 This is what truly separates him from quarterbacks like Tom Brady (below) or Peyton Manning, men whose dominant image is ruled by success in the form of Super Bowl rings and carrying the team on your back, something which Romo has regularly done in the regular season but not enough thereafter. Last season, the Cowboys 8-8 record and failure to make the playoffs was largely attributed to Romo’s league-high 19 interceptions. Yet in Romo’s defence, in Week 17 they were still in contention for a playoff spot mainly because of their quarterback, who led his team to a remarkable five fourth-quarter come-from-behind wins, something not even greats like Aikman and Staubach managed to achieve. Most of Romo’s interceptions were caused by the simple fact that the Cowboys defence was so poor that he had no other option but to keep throwing the ball, eventually resulting in 648 pass attempts, the third highest in the league. Because of the Dallas defense’s inability to hold their opponents, the Cowboys found themselves constantly surrendering the lead, resulting in added pressure on Romo. This is an on-going problem for the Cowboys. They were 24th among 32 teams last year in points allowed. In only one of Romo’s seasons have the Cowboys finished any higher than 13th in scoring defense. However, Romo’s biggest critics have dismissed this reasoning and feel his Brett Favre-like gambling of throwing the ball to try and save plays shows his inability to learn from previous mistakes, and those around him who know when the time is right to take a sack or throw the ball away at the expense of a turnover. This season, where they so far find themselves 1-1, the Cowboys simply cannot be a play-off team should Romo (below) repeat his 19 interceptions of a year ago. While there is little doubt that Romo’s arm kept this team in NFC East contention all of last season, his arm was also the reason his team came up short once again. 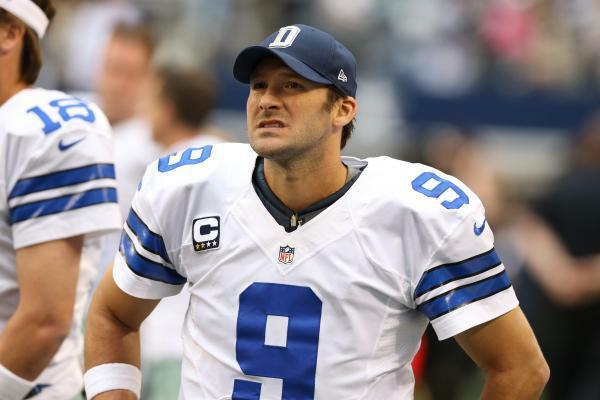 The Cowboys need their starting quarterback to play error-free football. At the end of last season, the Cowboys were 7-15 in games that Romo had committed a turnover. When he makes mistakes, the Cowboys sink. Romo has only managed a turnover-free afternoon in only 32 of his 97 career starts, and it is no coincidence that the last time the Cowboys won the NFC East in 2009, he threw only nine interceptions all year, playing eight turnover-free games. The Cowboys won six of them on the way to an 11-5 record. Romo’s plight is similar to that of a young Peyton Manning, who was prone to conceding unforced turnovers as a young quarterback. Eventually, he figured it out and over a nine year period he managed 73 turnover-free games, with a record of 60-13 to match. He was turnover-free nine times in that 2006 Championship season, and the Colts went 8-1 in those games. New England Patriots quarterback Tom Brady has played 84 turnover-free games in his career with a 78-6 record to match. Romo is nowhere near these kind of figures, yet this is the standard required of a game-winning quarterback. At 33 years old, time is running out for Romo and you sense that this season has to be one where he backs up his consistently impressive stats with a sustained Championship challenge. In doing so, Romo will have removed the burden of being a “choker” as well as having matured in his decision making down the stretch because by taking chances and throwing interceptions like we witnessed in the crunch game with the Redskins last year, Romo digs the hole a little deeper not only for himself but for his team. Manning learned without the aid of a $108 million contract. Now it’s Romo’s turn.